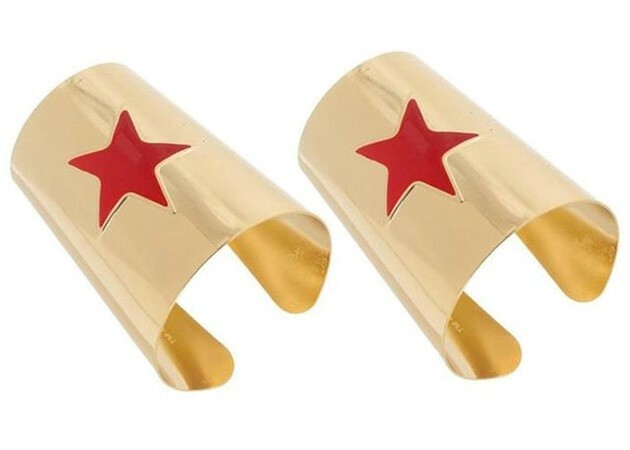 Complete your Wonder Woman costume with this great pair of cuffs from Elope! 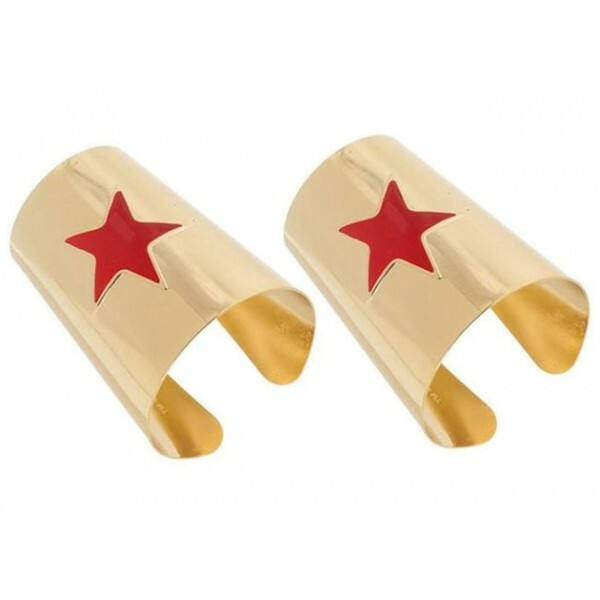 These 90% brass cuffs are durable, but flexible enough that you can shape them to your arm for a more custom fit. It's the perfect way to pay tribute to your favorite superhero! You can also get this matching crown for a consistent look. For more costumes and accessories, visit our Costumes / Dress-Up Collection.